4. Keep cavity and insulation free from mortar droppings and debris. 5. Install studwork tracking with isolation tape at the junctions with the floor and ceiling. 6. 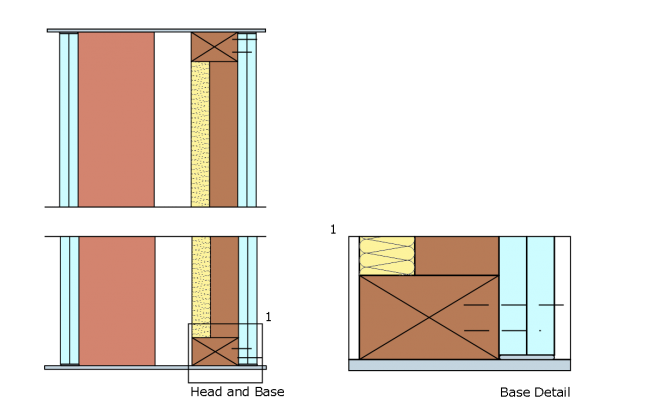 Install Insulation tightly fitted between studwork, with no gaps and ensure the air cavity is not bridged at any point. 7. Make sure there is no connection between the two leaves except where ties are necessary for structural reasons. Minimum 25mm of air cavity. 8. Affix acoustic plasterboard to the studwork. Affix the second acoustic plasterboard with staggered joints. 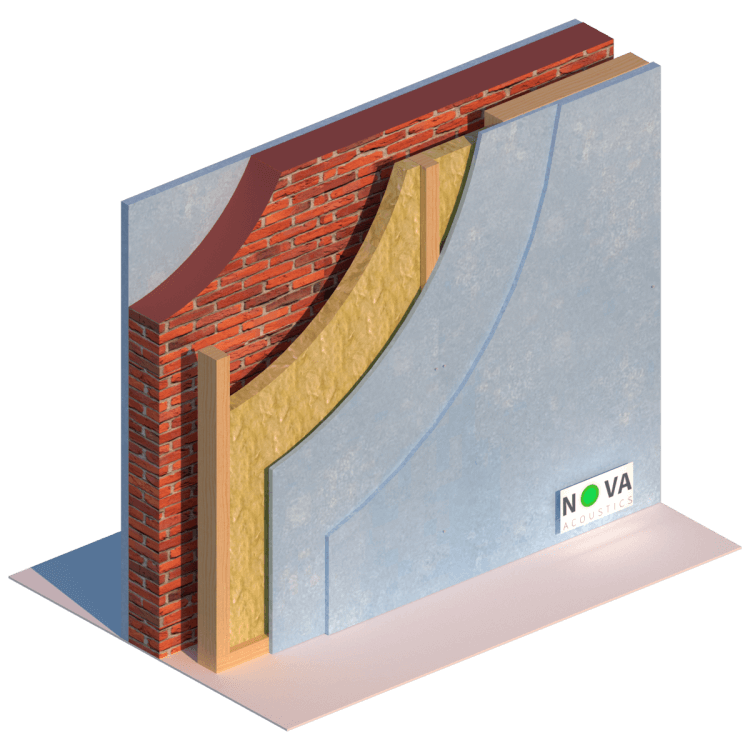 Ensure a 3mm gap is maintained around the perimeter and seal with acoustic sealant. 9. Keep any chases for services to a minimum and fill well with mortar. Stagger chases on each side of the wall to avoid them being back to back.